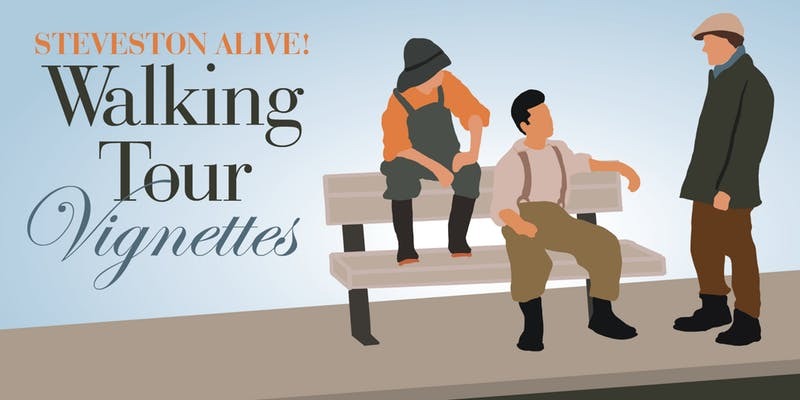 Not just any ordinary walking tour – visitors will discover what the past was like as talented Hugh McRoberts Secondary School drama student actors perform five short plays about living and working in Steveston in the year 1917. Tickets are $10.00. Children 12 & under are free when accompanied by a paying adult (maximum two children per adult). Please let us know if you will be bringing a child with you by contacting info@historicsteveston.ca after you purchase your ticket. The Steveston Alive! Walking Tour Vignettes program is made possible through the generous support of the G&F Financial Group Foundation and the City of Richmond. A special thanks to Hugh McRoberts Secondary School for their continued involvement in this initiative.